If you are looking to stand out in the aisles, look no further than our custom corrugated display solutions. Also known as Point of Purchase (POP) displays or Retail Ready Packaging (RRP), these custom units range from front counter top size to large floor displays. With thousands of products competing for attention at store level, compelling merchandising is one of the most effective ways to showcase your product. Corrugated POP displays are among the best solutions to maximize retail-marketing dollars. 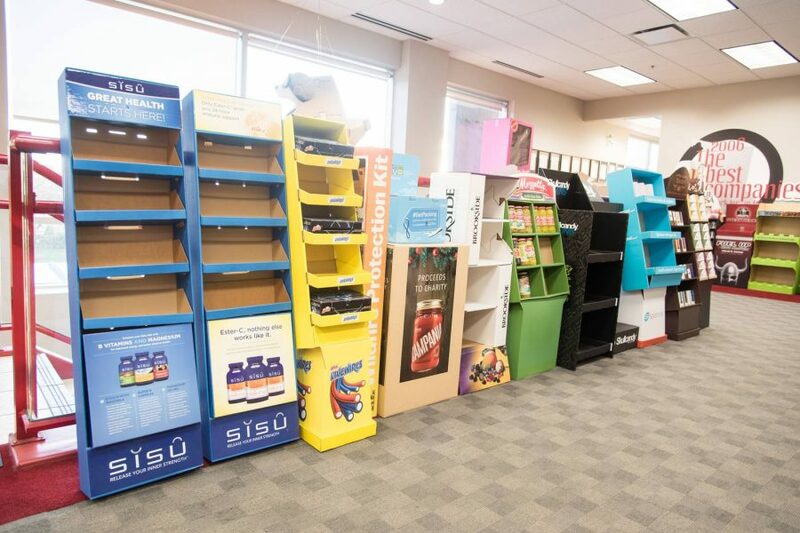 Whether you are in the market for a short-term solution or larger strategic investment, Great Little Box provides the design expertise and creative support necessary to maximize standout in-store displays. Our award winning creative and graphic design team can take a concept from an idea to a solution in a matter of days. At Great Little Box, we go the extra mile for our customers and offer to assemble and fulfill the displays too. With over 20 years of experience in custom retail and point of purchase display manufacturing, we have created thousands of multi-platform products to merchandise everything from cosmetics to machine parts.